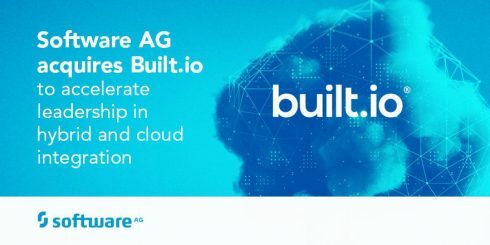 Software AG is headed towards a hybrid and cloud integration with its latest acquistion of Built.io. Software AG is known for its Digital Business Platform, helping businesses along their digital transformation journeys. Built.io is a Integration Platform as a Service (iPaaS) company integration that provides the solutions Built.io Flow and Built.io Flow Embed. Software AG plans to bring Flow and Embed into a single integration offering within its webMethods Integration platform. This new offering will enable the company to provide integration capabilities to Node.js developers and enable larger enterprise participation in integration projects. According to the company, it also will expand Software AG’s application, B2B integration and API portfolios to a broader developer community. Other features of Built.io include the ability to integrate through self-service access to Built.io Flow, a visual integration design experience, and tools for non-technical users to connect data.